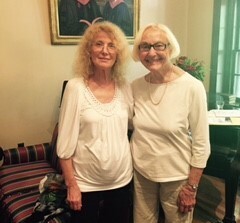 September 9-10, 2015 in Washington, D.C.
Dana Steinova, Czech Republic, and Jan Hively, in Boston. Memory training promotes confidence and Dana’s traveled the world passing on this message and training trainers. Read more. 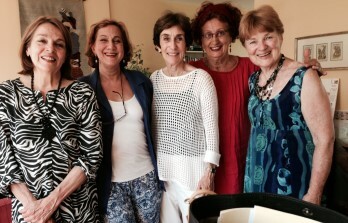 Helen Dennis (in white) created the first “Project Renewment”* group outside the USA in Paris with (left to right) Liette Farmer, Fabienne Hirschfeld, Katia Lauranti and Moira Allan. *The First Retirement Model for Career Women. Read more. 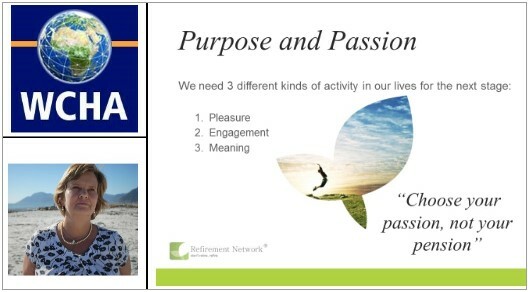 Lynda Smith, Founder of The Refirement Network and Pass It On Liaison in South Africa, presented a session at the 2nd World Congress on Healthy Aging held in South Africa the end July « Don’t retire – RE-FIRE ». She told participants we need 3 different kinds of activity in our lives for the next stage: pleasure, engagement and meaning. Lynda Smith was involved on the scientific committee. Three events ran parallel: academic, consumer and caregivers with the common theme of bridging the Aging Divide. 22 countries were represented and 90 speakers. 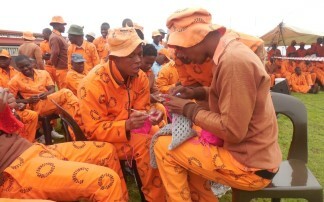 Mandela Day* Blankets – Everyone is knitting! Everyone knitting, men, women, young and old. Mandela Day – Nelson Mandela International Day was launched in recognition of Nelson Mandela’s birthday on July, 18 2009 via unanimous decision of the UN General Assembly. It was inspired by a call Nelson Mandela made a year earlier, for the next generation to take on the burden of leadership in addressing the world’s social injustices when he said that “it is in your hands now”. It is more than a celebration of Madiba’s life and legacy. It is a global movement to honour his life’s work and act to change the world for the better. One of the best global projects for intergenterational aging was on show at the event. Ordinary people, young and old are knitting and crocheting blankets for those in need. In April this year the group broke the Guinness book of records by laying out the largest blanket in the world at the bottom of the Union Buildings around the Mandela statue. They are having older people teach children how to knit and also go into prisons to teach knitting. Just an amazing program. The Emerging Spirit of Elderhood…How elders are rethinking aging. A unique full-day program organized by “apprentice centenarians” living creatively on the cutting edge of aging. France is hosting and presiding the 21st Session of the Conference of the Parties to the United Nations Framework Convention on Climate Change (COP21/CMP11) – “Paris 2015.” COP21 is crucial as it needs to achieve a new international agreement on the climate, applicable to all countries, with the aim of keeping global warming below 2°C. 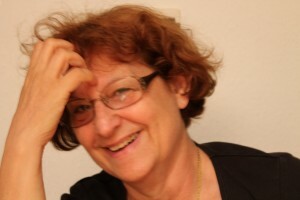 Estelle Le Touzé, Co-Founder, is chuffed. She’s just registered of the new Grandparents pour le Climat association and has been assured of the media support from Notre Temps, France’s most influential media for seniors. Inspired by the action of similar associations in Europe and Elders Climate Action in the USA, and the fact that France is centre age for the next major UN Convention on Climate Change in December 2015, she decided to take action. Firstly, ourselves: +12 million seniors over 50 in France. We enjoyed with gay abandon three decades of growth and prosperity known in France as the “30 glorious years”. It is high time to mobilize and do everything we can to save our planet. From the smallest actions to more collective ones we need to take the initiative. We also have a huge responsibility to generate a positive attitude to those around us, to show the example. Secondly, our grandchildren: the world our grandchildren are growing up is not easy, we can help by being close to them and helping them to discover the many wonderful initiatives being taken around the world – get the excited about ventures such as Solar Impulse that are “exploring to change the world”, get them to think about sharing and not wasting, encourage them to believe in themselves and the future. Thirdly, politics: spreading the word, making contact with our local representatives, writing to politicians and generally making our voice heard in our local communities, being active and raising consciousness. We’ll be participating the activities round the COP21 World Convention in Paris in December. It’s already a $110 billion market. Sharing makes life more fun, green and affordable. It includes a 14-page downloadable guide jam packed with actions, ideas, videos and resources to inspire everyone to become involved. The Center for a New American Dream and Shareable have joined forces to spread the word about sharing and to initiate more and more people into the practises as well as the new talk that goes with them. We are now talking about the access-without-ownership model, utility without burden, about pre-owned items, about new-to-you fashion, about lending locations, or lending libraries for anything and everything from toys and tools to study material, work space, bicycles, cars and living room. Skills constitute a huge shareable resource and there are more and more ingenious ways of sharing including time banks that are springing up all over to facilitate the sharing of skill – I can sew and iron and keep house, but I can’t do the odd jobs … somebody else can and we can trade our time – the notion of « banking » opens horizons. A wonderful feature of this imaginative and growing initiative is its practicality. It offers very clear, down to earth step plans for organizing sharing activities in the community, for example, how to organize a community swop, or how to et up a co-op and how to share time, labor and skills. It also deals with 5 challenges and how to handle them: irresponsible behavior, timing, hygiene (real or imagined), legal and safety and challenging personalities. 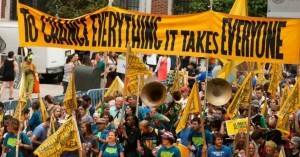 The Coalition is composed of over a hundred organizations and movements that, in the light of the successive governmental failures to reach an agreement to tackle the climate crisis, are seizing the opportunity of the COP21 at Paris-Le Bourget to create a powerhouse of meetings and demonstrations. The climate crisis concerns us all. 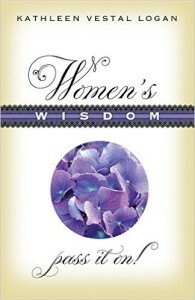 The Pass It On Network was thrilled to discover Kathleen Vestal Logan’s latest book Women’s Wisdom: Pass It On. The core message is that, collectively, women have a great deal of wisdom and everyone benefits from sharing it across generations. 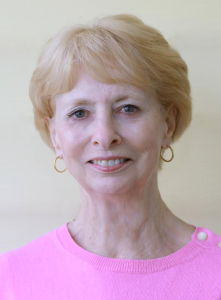 Kathleen’s first book, Second Blooming for Women: Growing a Life that Matters after Fifty, was written with co-author Betsy Smith, PhD, and published in 2010. We’re on this life journey together, so let’s share with each other as we strive to become wiser, more complete, women. Wouldn’t it be lovely to have a “how to” manual for life? To have a personal, caring mentor to help you think through some of the challenging situations you face? Someone to serve as a guide and resource when you need one? WOMEN’S WISDOM: PASS IT ON!! can fill that role. Her fundamental belief is that the more we care about and share with each other as a community of women, the stronger and more capable we will all become. That’s when she learned about TTN (The Transition Network), joined, and accepted the offer for authors to submit a column each month. In an interview she said TTN is a wonderful place to find like-minded women who want to make the most of their lives after fifty. 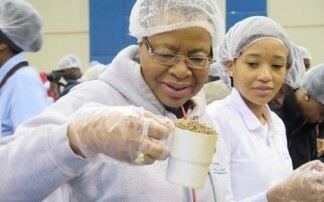 It’s inspiring to read about the activities of the different chapters as well as the individual women who are making a difference in their communities and the world. Together, we are helping to create a new vision of what it means to get older – a positive, productive one. Kathleen is a relatively latecomer to writing and offers a few practical steps for anyone who feels the urge to write, to record how they are experiencing what it means to get older, and let’s me honest, who hasn’t dreamed of writing a book? Ask yourself what your motivation is (e.g., write for fun or for publication?) and whether you have the self-discipline to write. Start a writers’ group. You’ll learn from and keep each other motivated. Choosing fiction or non-fiction is a big decision that will lead you in different directions. Try writing articles first; it takes less time to have a finished product that is motivating. If you seek publication, can you endure the rejection you will receive even as you’re trying to stay inspired while you write? The business of writing is confusing; there is a lot to learn and the constant changes in publishing are significant. It requires a willing learner. That said, there is nothing more rewarding than having women approach me to say, “I read your book and it changed my life,” or, “You helped me through a trying time in my life.” A book can magnify your message and impact. We’re the actors of a social revolution and everyone has a story to tell.